Hello, hello! 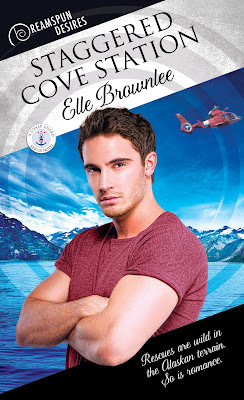 I'm Elle Brownlee and it's great to be here to share something about my latest book with you. 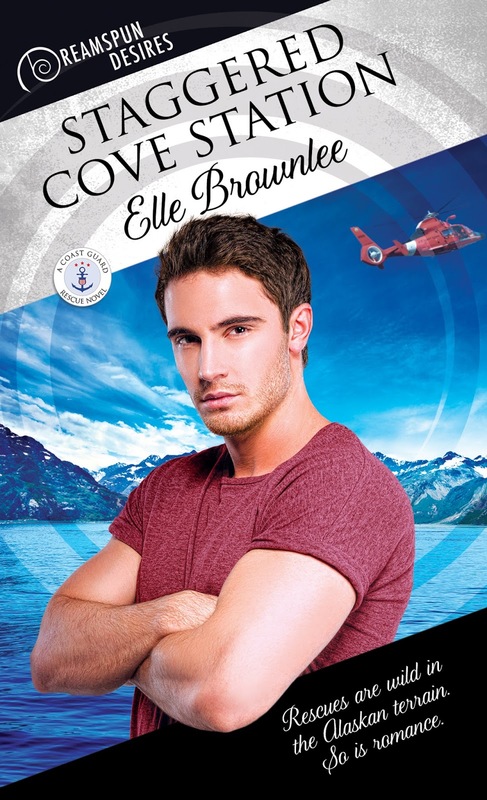 Staggered Cove Station is a romantic suspense with Coast Guard hero hunks, and I couldn't be happier about that. My writing process always includes finding the right music to accompany what I'm working on. Creating playlists keeps me in the groove of a story, and I pick music that's more than thematic--I like it to have a just-so mix of mood, tone, and meaning. Staggered Cove Station needed tension (romantic and otherwise! ), expansive quiet to echo the huge wild landscape of Alaska, and bursts of action. Check it out on my Spotify (and while you're there you can browse my playlists from previous books!). Hope you enjoy the listen--and the read! Sun-kissed California guardsman Dan Farnsworth might be at home in the water, but he’s out of his element at remote, rugged, and freezing Staggered Cove Station. Acclimating proves hard enough, but he’s also digging into how the station’s previous rescue swimmer was lost at sea. Was it an operation gone bad... or something more sinister? Add to that instant tension between him and his partner, no-nonsense Alaska-born Karl Radin, and Dan has his hands full. As his investigation heats up, so does the attraction between Dan and Karl—even if they don’t completely trust each other. But as suspicious events escalate to sabotage, Dan starts to fear he and Karl won’t get the chance to become more than reluctant coworkers. Elle Brownlee has always followed her creative, adventuring spirit. Growing up she loved westerns and taking long hikes. On these explorations she’d craft miniature worlds with moss and rocks while making up stories about everything that happened there. This often included dashing cowboy heroes. As an adult, not a lot has changed. She still loves westerns, long hikes, and allowing her imagination to roam. Her romances feature flawed but relatable characters in immersive settings, told with wit, tenderness, and a sly note of sarcasm. Though a cynic in many ways, Elle believes love can conquer all. Every story is a little bit naughty, a whole lot of nice, and will always end with happily ever after.